Automobile industry, food processing industry, medical industry, chemical industry and various other industries use compound hose for transportation of fluids. It is an integral process that is carried out by flexible conduits. On an average, every industry uses a variety of hoses for its smooth functioning and is a crucial component for a process. A defective compound hose may cause various problems such as overheating, coolant loss, supply disruption and downtime in process. Compound hoses are used for transportation of volatile and high temperature liquids or vapours to enhance the products that are being manufactured in various sectors. There is an increasing need for high quality compound hose for smooth transportation, minimal leakage and durability of transportation. It was observed that there is a growing need for higher specifications in compound hoses that has led to introduction of more differentiated compound hoses which are designed to suit specific needs. Compound hoses used for transportation of fluids absorb piping movements or vibration in both axial and lateral directions. Advanced compound hoses possess rigid pipe elbows that accommodate tight bend radius and eliminates bending stress of the compound hose. The manufacture of compound hose depends on the type of coupling used and layering structures that are adopted. Coupling determines the major difference in its flow and layering determines the quality and usage of the compound hose. Compound hoses possess simple layering structure and also incredibly complex layering structure with several microfiber and textile layers that are implemented in the hose structure. Modern compound hoses are manufactured with resistance to fire, ozone and high level abrasions. They also provide more effective and longer lasting compound hoses for various industrial purposes. According to the study “Asia Compound Hose Industry Situation and Prospects Research Report”, Asia compound hose market is split into various products such as food grade, medical grade and chemical grade. 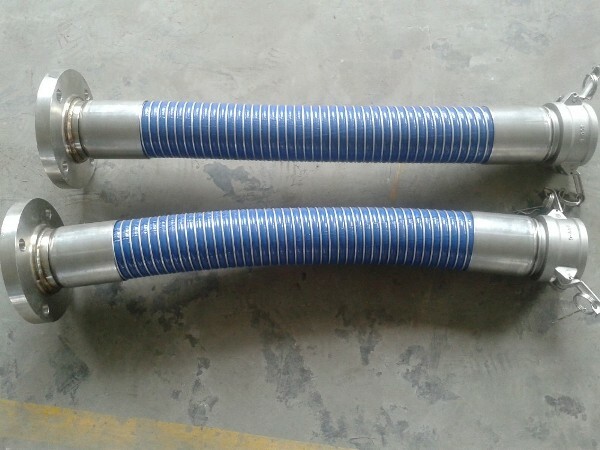 The compound hoses are utilized in various industries such as consumer goods, chemical industry, food industry, automobile and other industries. Geographically, Asia compound hose market is spread across China, Japan, India, Korea, Saudi Arabia and other regions. The leading players in Asia compound hose market are Dantec, Trelleborg, Jingjiang Daming Machinery Manufacturing Co.,Ltd, Delox, Cjan Fluid Technology Co.,Ltd, TAIEN, EATON and LY Fluid. All the leading vendors are increasingly focusing on creating strong brand names, offering well-established products, and exhibit long-term reliability. The vendors are increasingly competing against each other based on factors such as price, features, and product quality. It was observed that there is an increased demand for eco-friendly and effective compound hoses in various industrial applications. Incredible complex layering structures with several microfiber and textile layers are the major factors that are driving Asia’s compound hose market. Increasing adoption of compound hoses in various industries for effective materials management will witness a drastic growth in Asia’s compound hose market.